I gave my first impressions of this device last week, and they were positive. Now that I’ve been testing the Huawei MateBook X Pro for more than a week, I can comfortably say it’s the best notebook I’ve tested in the past two years. The unit that I’m reviewing has an 8th-gen Intel Core i7 processor, 16GB of RAM, and a 512GB SSD. It can be purchased at the Microsoft Store for $1499, but it’s actually been pretty hard to find. There is certainly a reason for this. 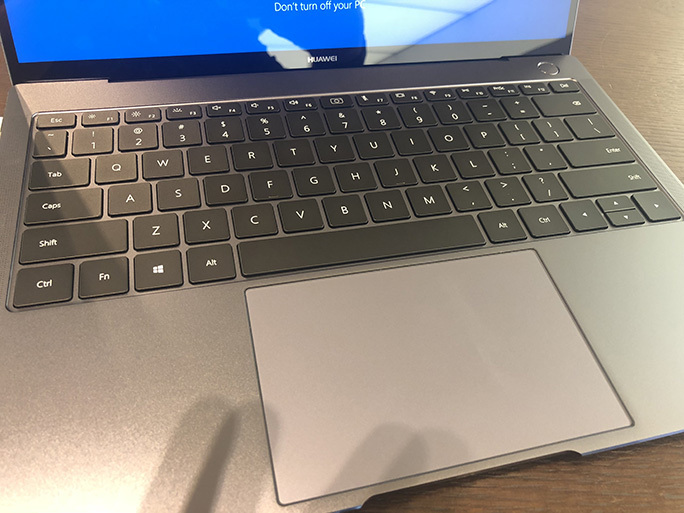 The MateBook X Pro can easily be mistaken for a MacBook Pro at first — the speaker grilles are on the side, the device comes in space gray, the touchpad is huge, and the device is very thin. But that’s where the comparison stops. Unlike the MacBook Pro, Huawei has been able to fit a USB-A port on the rear right. They’ve also been able to fit in what feels like the best keyboard on a notebook device. They are just like Butterfly keys except they have a little bit of travel. There isn’t much of a “click” to them, but there really doesn’t need to be. They feel very natural and I can type faster on this keyboard than the one on the MacBook Pro. The MateBook X Pro has an absolutely stunning 13.9 inch 3000 x 2000 pixel display. It reminds me of the MacBook Pro’s display because it’s contrast ratio is almost as good. I thought the 3:2 aspect ratio would be a disability to the device, but it doesn’t make much of a difference. Colors are bright and vivid, and color saturation can be manipulated. Perhaps the most satisfying part of the screen is that there is very little bezel space on the side. It’s even better than the “Infinity” screen of Dell’s XPS 13 or XPS 15. The only problem is that it doesn’t leave room for a webcam, which is actually hidden under one of the keys. If the webcam is a serious issue for you, perhaps you may want to stay away from the X Pro. The rest of us will just deal with people looking at our chins, buy a separate webcam (which can be purchased for under $20), or use the webcam on other devices, such as our phones. The MateBook X Pro is a touchscreen device, although touching the screen will leave visible fingerprints. Unfortunately it’s not compatible with any digital ink stylus, Still, the MateBook X Pro’s display is the best that’s ever been on a PC notebook device. It’s hard to believe that Huawei has been able to fit in an 8th-gen Intel Core i7 processor in this thing, let alone 16GB of RAM and a 512GB SSD. Oh, there’s also a Nvidia GeForce MX150 graphics card for some gaming. I’ve done 4K video editing with Adobe Premiere, edited huge files in Photoshop, and have even played some games (but had to set at lower resolutions). The MateBook X Pro handles all of this well, although the device can get somewhat hot, and you can definitely hear the fan (though it doesn’t produce the annoying coil whine sound). The touchpad on the X Pro looks very similar to one on a MacBook Pro, but it’s not as comfortable. Don’t get me wrong — it’s still great. But your fingers may hurt a little bit after clicking so many times. It’s not a deal breaker, and the touchpad is certainly better than just about any on a PC computer. But since Huawei is trying to compete with the MacBook Pro, this is one of the only areas this notebook loses. The audio quality on this computer is absolutely superb. It has four speakers that give life to music and movies. While the sound doesn’t come to life as much as it does on the 2018 MacBook Pro (15-inch), it certainly beats that of the 13-inch MacBook Pro. It’s amazing how Huawei is able to put so much bass in this ultra-thin device. There is also barely any distortion — even at the highest volume settings. 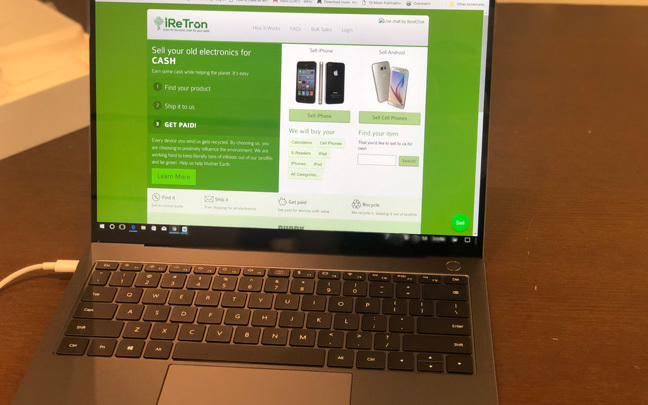 Usually, one shouldn’t expect an ultra-thin 14-inch notebook that has an Intel Core i7 processor and a discreet graphics chip to have all-day battery life. But streaming a video with the brightness set at 75 percent (which is more than bright enough on this), I was able to get almost 8 hours without having to recharge. Most users will probably get 10 or 11 hours of use in a single charge. Considering the power of this notebook, the battery life is outstanding. The MateBook X Pro is definitely the most significant notebook of 2018. Some may consider it a MacBook Pro clone, but — in many ways — it beats any notebook Apple has ever made. You may have a difficult time finding this in stores, but you will be very happy once you get your hands (and eyes) on it. 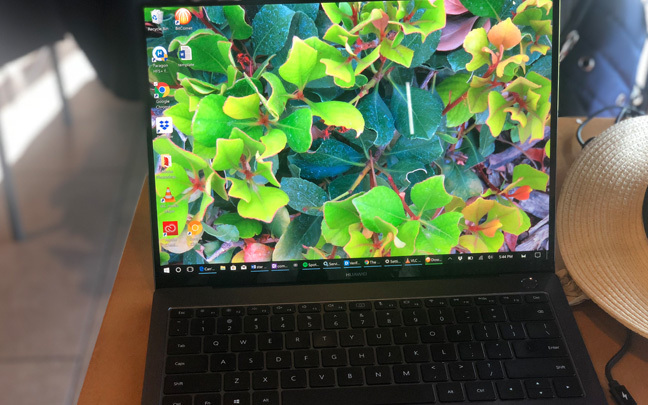 This entry was posted in Review and tagged Huawei, MacBook Pro, MateBook X Pro, Microsoft. Bookmark the permalink.